﻿ Best Price on Hotel Playa Westfalia in Puerto Limon + Reviews! This tropical-style property is located on a private area of Westfalia Beach, just 4.3 mi south from Limon town, and offers extensive gardens, sun terraces, an outdoor pool. Free Wi-Fi is provided in public areas. The rooms at Hotel Playa Westfalia are air conditioned and include cable TV. The bathrooms provide free toiletries. The on-site restaurant specializes in international dishes, and bar services are available. 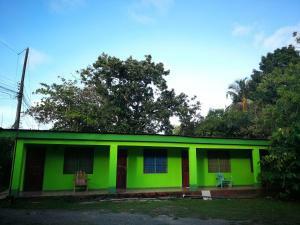 Playa Westfalia also has meeting rooms and banqueting facilities. Car rental services and shuttles to the airport are available for a fee. San Jose is located 99 mi from the hotel, and Limon International Airport is 1.2 mi away. Puerto Viejo is an hour's drive away and Cahuita is just 21 mi away.